One of the things I’ve learned about myself in the past 6 weeks is that I stress eat. I don’t even realize I’m doing it half the time. I mean, I know that I am eating I just don’t realize how much I’m eating. Bluntly put - I have gained back what I had previously lost over the past couple of years with running & exercise. I’ve been able to maintain that weight loss but with the over-eating & the under-exercising, it crept up on me & while I will never equate my self-worth with the weight on the scale I do hate the feeling of sucking in while buttoning up my pants. I think one of my biggest issues with actually losing weight is that I like myself. I look at my body and I’m proud of what it has done for me & what it continues to do for me. I have come a long way from the girl who couldn’t jog 30 feet without her heart flying from her chest. And then I think, why would I want to lose weight when I can enjoy my life just the way I am? I can run for miles, I can zip up my pants, I have wonderful friends & family – why can’t I enjoy that extra piece of cake? And so I do. And I never really lose weight. I go up & down within a 10 lb frame over a course of a couple months & I’ve really only learned how to maintain. Well, until I un-learned it by stress-eating. My problem is not moving more. I can settle into a routine & be good to go, my problem is what I eat & the amount of it that I eat. 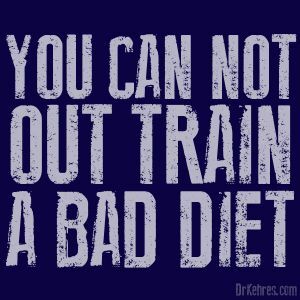 I’ve tried entering food into My Fitness Pal & while it is a wonderful tool & helped me see what I’m doing, it does not hold me accountable. I see I’ve lost 3 lbs, I think I need a treat for doing so, then I’m right back where I started. I guess the whole you can’t out train a bad diet mantra is true. Sigh. Before I had Lillie, I lost about 30 lbs doing Weight Watchers. I was successful because I was being held accountable by others (and because I was paying for it!) – this was before they rebooted the program with the different point system. I tried doing it right after the reboot (and right after Lillie) but my mind was so confused with the new & old system, I gave it up. Then, I found running and well, losing weight wasn’t at the top of my list because I was just focusing on establishing a running routine. I received an email offering 50% off for 3 months with WW online. I signed up and have been on it for a week. I did really well the first part of the week, then the weekend & Halloween candy extravaganza happened. After my weigh-in this morning, I thought perhaps to hold myself even more accountable I should blog about it. While I’m sure this won’t be everyone’s cup of tea, I plan on posting every Monday where I’m at and what my plans/goals are for the week. And whatever I may be struggling with or thinking about. My ultimate goal weight is 155 lbs. I can recall being comfortable at the weight years ago & based on my height, it is a reasonable long term goal. However, that is a lot of weight to focus on, so I’ll be focusing on 5% of my body weight at a time (this is WW recommendation & to be honest, makes it a lot less scary.) I would really like to start my 30s (next August!) being the best possible version of myself I can be. Once I reach this point, I’ll reward myself with something (not sure yet what, but it won’t be food) – likely a pair of shoes. Because, duh, shoes. Next week, I’ll plan on laying out my training plan schedule (I have to figure it out) because I have a half-marathon I would like to complete kill at the end of January 2015. Also, my best friend since we were in diapers has been doing WW for several months now. (like 8? I dunno..) She's down 20 lbs! Anyway. She posts updates and food and whatnot constantly on Instagram. (@jessrdooley_ww) Just throwing that out there. You can do this! Starting is the hardest part. I want you to know I read this while eating Cheeto's at 9:36 in the morning. Safe to say, I'm right there with you. I always feel that blogging holds me accountable for all of my fitness goals. I don't even really care if people read it or comment on it, but it's out there in the blogosphere and I want to make sure I can keep up with my plans. I stress eat as well, and I know I was just e-mailing you about this kind of stuff, but I'm just in a rut. I really think that BodySpace/Body Building.com stuff will help me get on track. I love food, I don't want to give it up, but I need to change the way I eat it. But YOU are amazing!!! You can totally do this and be down to your goal weight, and I love that you're only focusing on small parts at a time. You are a ROCKSTAR :-D I can't wait to see the changes!!! Liking yourself is not a problem. "I look at my body and I’m proud of what it has done for me & what it continues to do for me." That's awesome!